It was a very solid performance then, as they both managed to fight back to grab podium positions! 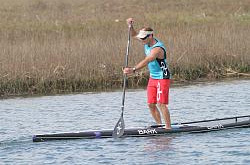 Results from the 2012 Hal Rosoff Classic, held Saturday 12th Feb in California. 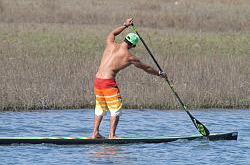 Over 240 stand up paddlers joined a bunch of outrigger, surf ski and kayakers for the 5.5 mile race at the Newport Aquatic Center.